Perspective maps are an effective way of showing the grounds of a zoo or museum campus in rich illustrative detail. 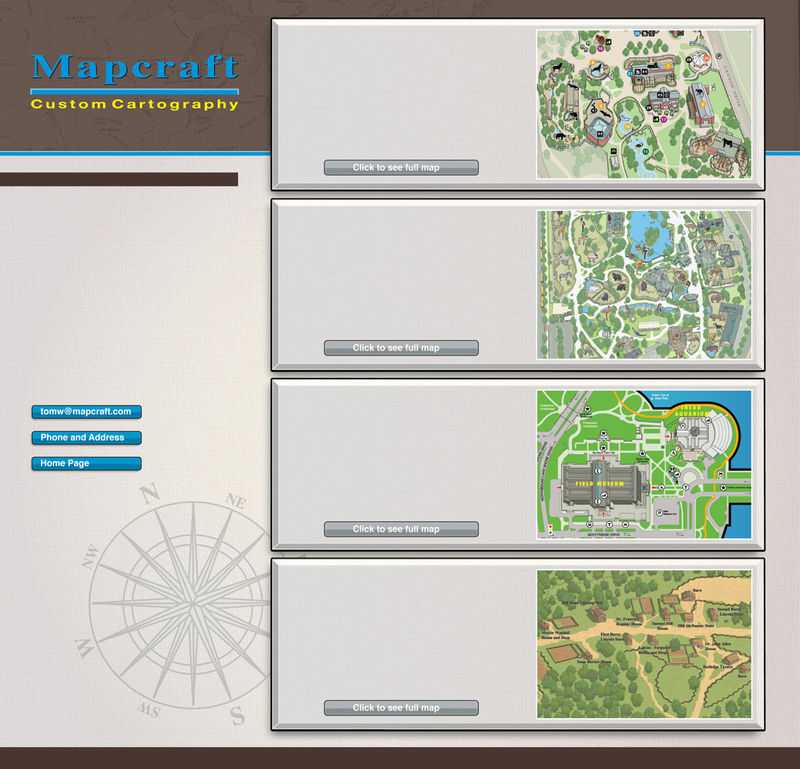 When displayed on the web, these maps generate excitement and interest for potential visitors. When displayed at the site, they guide your visitors through the grounds for their best possible experience. This map is in use at one of the nation’s most visited urban zoos located in Chicago, Illinois. The original base map has been economically updated numerous times to reflect the most current information as the facility grows and changes. This map is currently in use at the nation’s oldest zoo in Philadelphia, Pennsylvania. All of the habitat areas for this map are richly detailed, and each of the associated animal symbols is colorfully rendered with a high degree of realism. This map of Chicago’s premier museum campus was designed to enhance a standard visitor map by illustrating each building within the campus in an architectural style as seen from above. This technique makes the buildings seem to lift off the map and facilitates the visitor’s wayfinding ability over a large campus area. This map is displayed at the entrance to the village where Lincoln spent his formative years in Illinois. Visitors can get a good sense of the many historic buildings and other points of interest they are about to experience before beginning their self-guided exploration.